Popular Japanese Auto major Toyota is planning to attract more eyeballs by revealing a new product at Auto Expo 2018. Toyota is expected to showcase the Yaris sedan for the very first at 2018 Delhi Auto Expo which is scheduled to happen between Feb 9th – Feb 14th. Toyota Yaris might challenge the likes of popular rival cars like Honda City, Hyundai Verna and Maruti Suzuki Ciaz. Toyota Yaris is going to be placed above Etios and shall feature more advanced and premium feature. The Toyota Yaris is available in many markets of Asia , and the Yaris in India could be similar to ‘Vios’ moniker which is present in Singapore market. Talking about the dimensions of Yaris sedan in the global market – the Yaris measures 4,425mm in length, 2,550mm wheelbase. 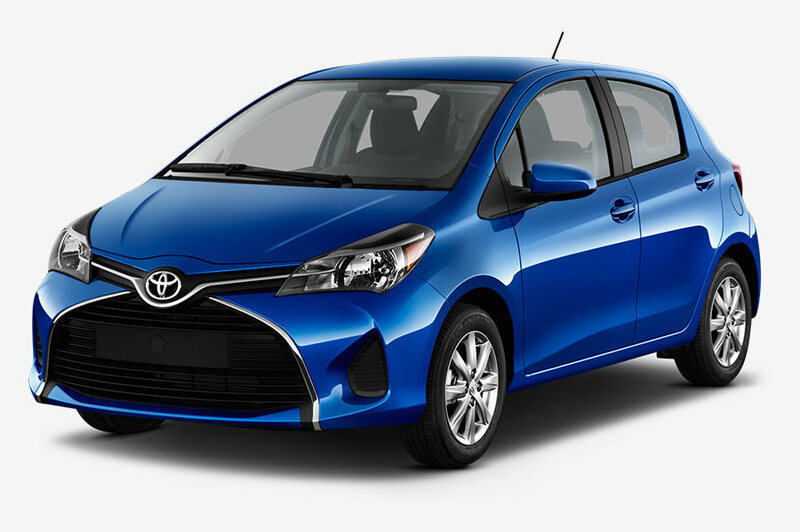 The design of Toyota Yaris is pretty conventional with a well-defined 3-box silhouette. Some of the unique features of Toyota Yaris includes swept-back headlamps, more appealing and stylish design. Toyota Yaris features bonnet ‘V’ which flows down to bisect the grille will be a defining styling element. Yaris will be getting a pronounced shoulder line and bigger+wide tail-lamps are some of the other features. The Yaris cabin will not break the mould in any way but photos do point to a well-thought-out space. The dashboard is neatly styled and comes with its touchscreen positioned high up, which would aid usability. A chunky steering wheel, chrome-ringed dials and silver accents through the interior are other items of note on the inside. While the cabin treatment and colours for the India car are not yet known, you can expect Toyota to opt for a premium-looking dual-tone colour theme. Interestingly, Toyota claims best-in-class cabin width in markets abroad. This could give the Yaris a small but crucial advantage in India too. The India spec Yaris is expected to get 107hp and 1.5-litre petrol engine. Toyota Yaris will be also made available in diesel variant. The Toyota Yaris sedan is going to be offered with a 5-speed manual as standard and there is also going to be an option of 7-step CVT. t.
One can expect the price of Toyota Yaris in the Expect range of INR 8.5-11 lakh (Ex-showroom).